Late last year I got the wonderful news that I had been accepted as a 'Friend of Sylvanian Families' - otherwise known as a brand ambassador - which means that from time to time I'll be sent some Sylvanian toys to review. (You can read more about that HERE) Following some issues with shipping, which took a while to resolve, our first piece arrived in perfect time for Lile and Sábha's birthday last week. I gave the 'Country Clinic' to the girls on their birthday morning and we immediately got stuck-in putting it together. 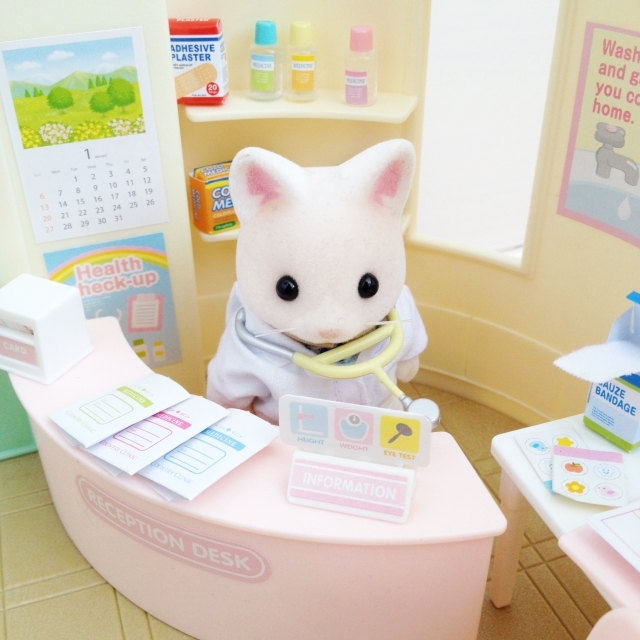 It comes with everything a Doctor's clinic should have including the most adorable paperwork, pills and prescriptions you've ever seen. Squeee!! Bandages, thermometer, tiny tablets, a syringe and even stickers for the littlest patients! Lile decided our Silk-Cat Father should be the resident Doctor so we dressed him in the white coat that came with the set and put the stethoscope around his neck. He barely got a chance to settle into his new office when the Tuxedo cat family arrived for a checkup. Lily Tuxedo Cat had an eye-test - just like Lile often does (due to her eye-condition) - and the Doctor was very impressed with how well she knew her letters. Baby had her height and weight checked and Rose Tuxedo cat and her Mum hung out in the waiting area reading the magazines and informational posters. Lile and Sábha absolutely love playing with this set. (As do I. 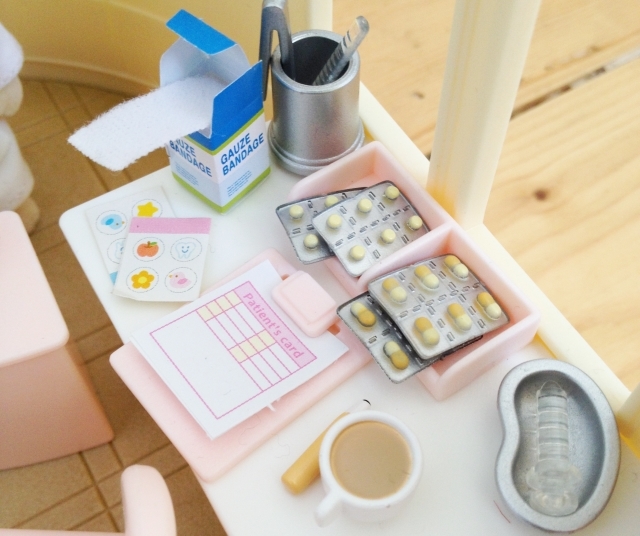 It's currently being hidden from them kept safe in my office...) The teeny tiny medicine bottles and packages add so much to their imaginative play and I love that they can role-play their own experiences of being at the Doctor's office through their toys. It's nice to see that all their games have been positive so far (the Doctor is very kind and everybody gets better quite quickly!) so I know that their own medical experiences (so far) must be positive too. I think it's really important for little ones to be able to explore the world around them in a safe and age appropriate way. Toys that young children can readily identify with and that inspire role-play are hugely important for developing social, cognitive, language and even physical skills (in this case the fine motor skills needed to manipulate all the tiny things!) - the fact that they are so beautifully made and gosh-darned cute is an added bonus. 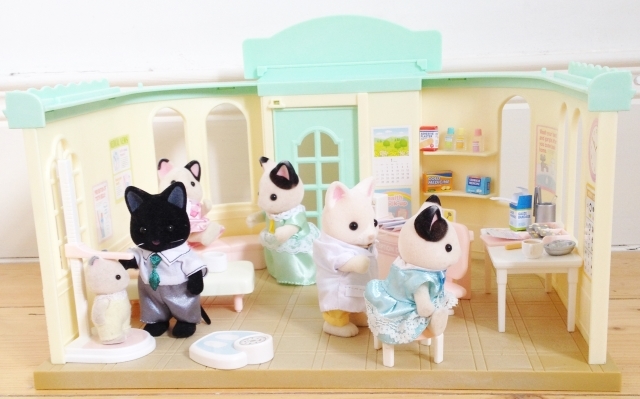 I have loved Sylvanian Families since I was a little girl and I am so happy to be able to have an excuse to play with them again and to introduce them to my little girls. I consider them to be 'timeless classics' and love that my old collection is still being played with - seamlessly - in conjunction with all the new additions. There are few toys that can be passed from generation to generation like that that lose none of their appeal over the years. 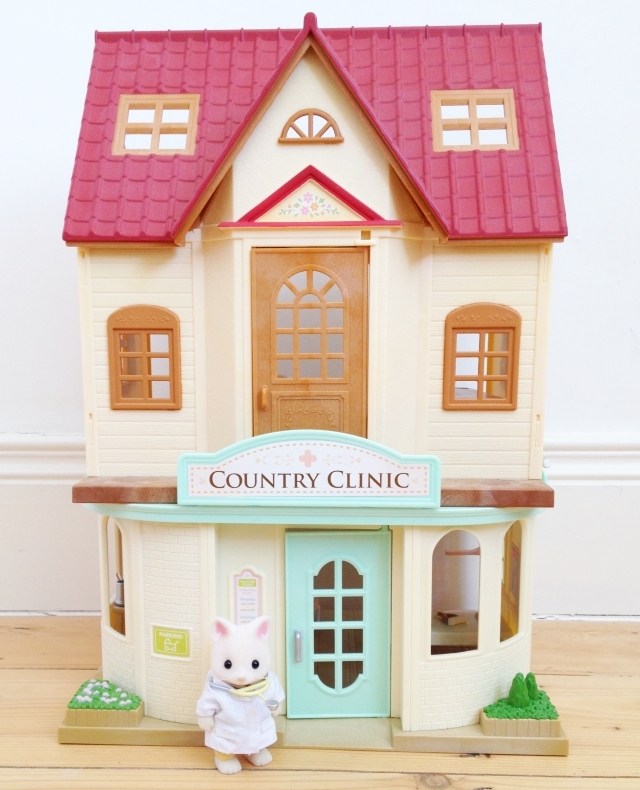 The Country Clinic is a wonderful addition to our Sylvanian Family Collection and I know we'll get endless enjoyment from it. For more information about this set, click HERE. 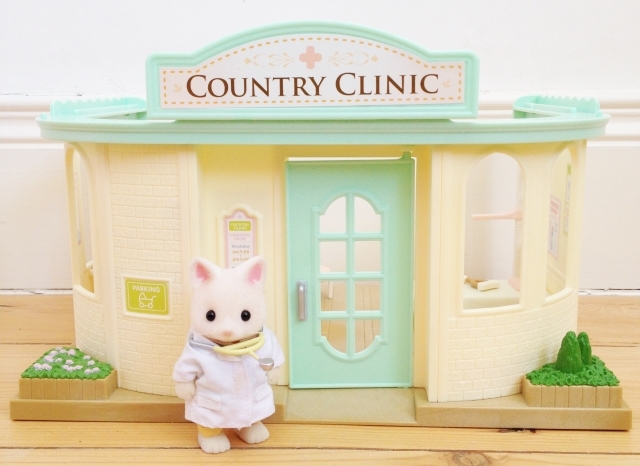 Disclosure: I received the Sylvanian Country Clinic for the purposes of review. All opinions are mine, however, and I was not paid to give them. Absolutely gorgeous set, I love Sylvanian families. The girls must be thrilled for sure, Happy Birthday Lile and Sabha! I don't know how I missed this comment! Sorry for the late reply. I hope your fairy is enjoying her Sylvs at this stage and that you're getting a chance to play too!